Over the past several years, I’ve watched a dramatic increase in interest in coaching from professionals with a counseling/therapy background. I’ve personally written about it on this blog, but nothing tops experience! Sonya Gomez, a 2016 grad of Life Coach Training Institute, boldly transitioned her successful professional career in counseling to a more meaningful and lucrative career as a self-awareness coach. I realize that this is a scary venture for professional counselors/therapists who are leaving a lifetime of educational investment and a guaranteed career to pursue their passion, and Sonya is one of the most qualified people to speak about it. What I appreciate most about Sonya besides her boldness, is her desire to truly give back to the coaching community. She has done this with a mindset of abundance and humility through her new book: THE LIFE COACH’S PLAYBOOK: The Secret to Creating a Winning Life for You and Your Clients. Enjoy the interview, and please give us feedback on all our social media channels! (5.28.18) Mentor Monday: Stop Counseling & Start Coaching! 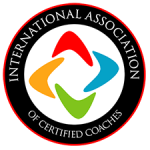 (9.12.18) Wednesday Upgrade: Are you unconsciously self-sabotaging your success as a coach? (1.21.19) Mentor Monday: Take compliments better - for everyone's sake!